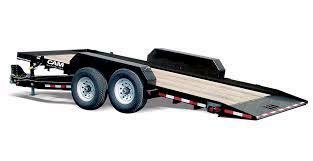 6' x 16' DECK, WOOD, TILT-DECK, TANDEM AXLE. REQUIRES 3/4 TON OR LARGER VEHICLE. * Please call us for any questions on our trailer 6x16 tilt 8k capacity rentals in Tualatin and Eugene, serving the Portland Metro area, Eugene/Springfield Metro area, Oregon, and SW Washington.